In Belgium and don't have the rest of the homebrew shack with me but needed a dummy load and ability to measure the RF levels so knocked this one together. 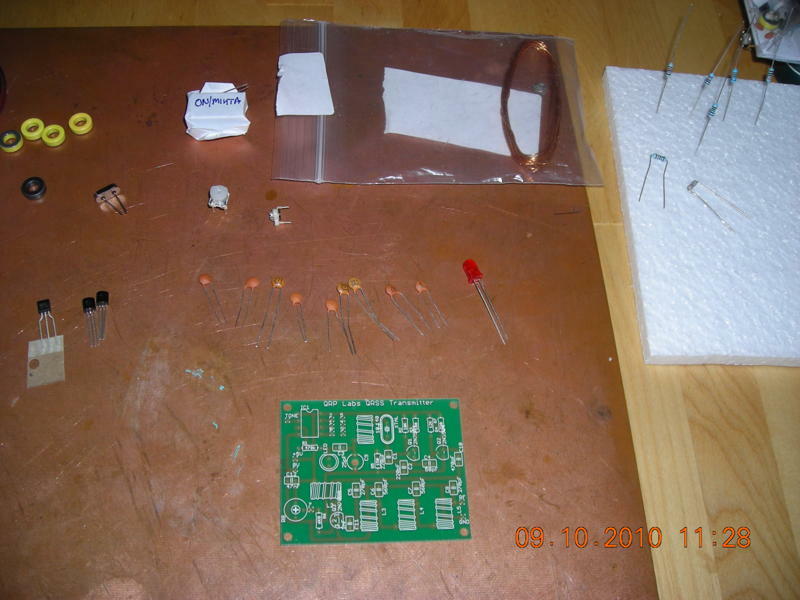 I grabbed a tiny strip of veroboard and 20 1k 1/4 resistors, 15nF capacitor and a 1N5711 diode. 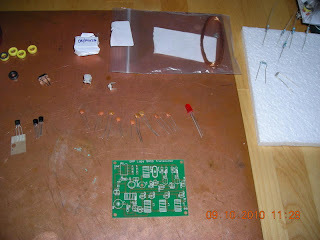 It is 2 sets of 10 x 1K resistors in parallel so 50 ohms. 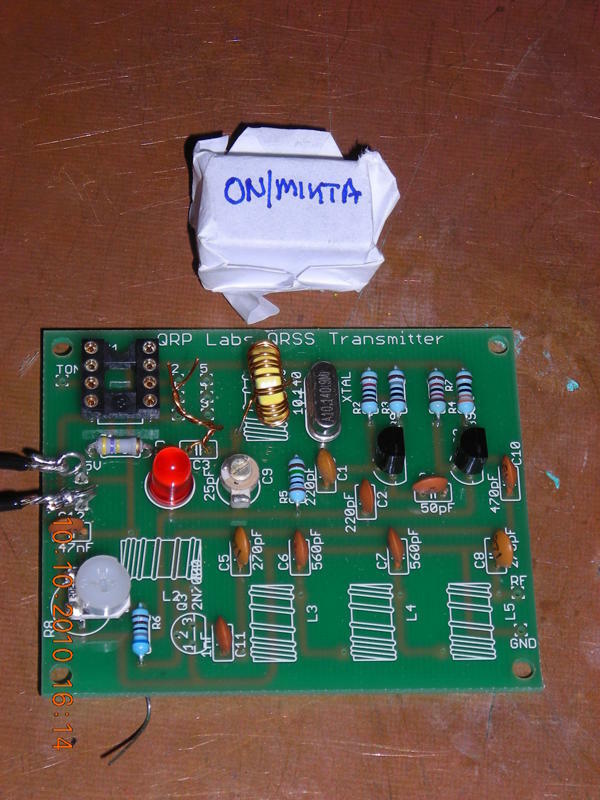 The diode and capacitor follow the dummy load so can use a cheap typical DVM to measure the RF voltage. The 1N5711 limits the power to about 15W but the resistors would frankly pop well before then. 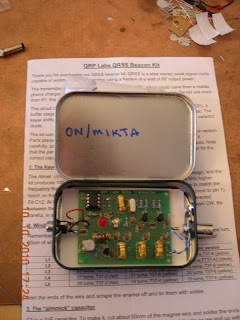 The circuit is not original, neither is the idea and I do not claim any ownership in any way.... 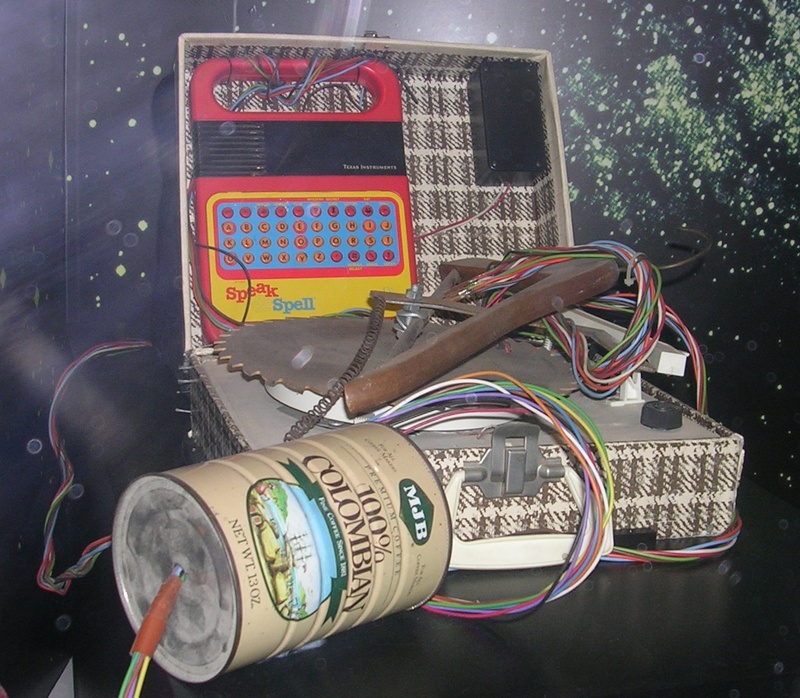 I built the excellent NorCal SMT dumy load a while back. 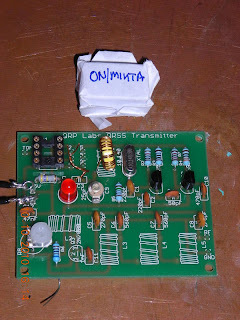 The basic design can use larger wattage resistors but if you want to do this for something that might last a while then ideally you use identical resistors. 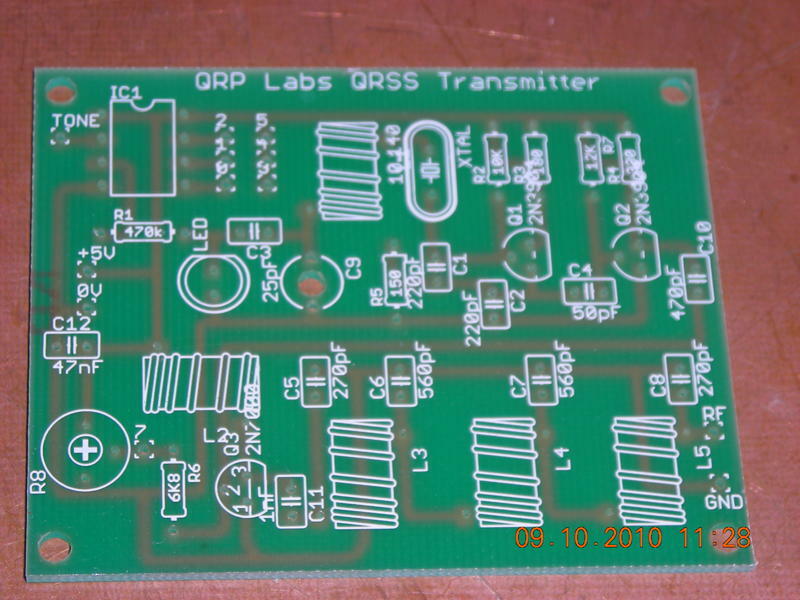 This would mean 2 x 100, 4 x 200 etc... A cheap 10Wdummy load is 44 x 2K2 resistors. Back at QTH I have 4 x 200ohm 25W chip resistors in TO220 packages bolted to a heatsink using insulated TO220 washers and a little heat sink paste. 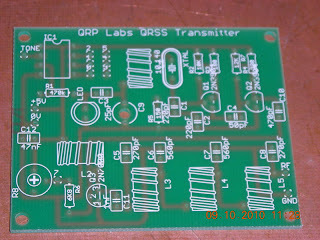 There are others that use these suspended in mineral or olive oil for QRO use (check out http://www.hanssummers.com/dummy.html) . I planned to bolt an old CPU fan to the heatsink to increase run time but mine never gets that hot. 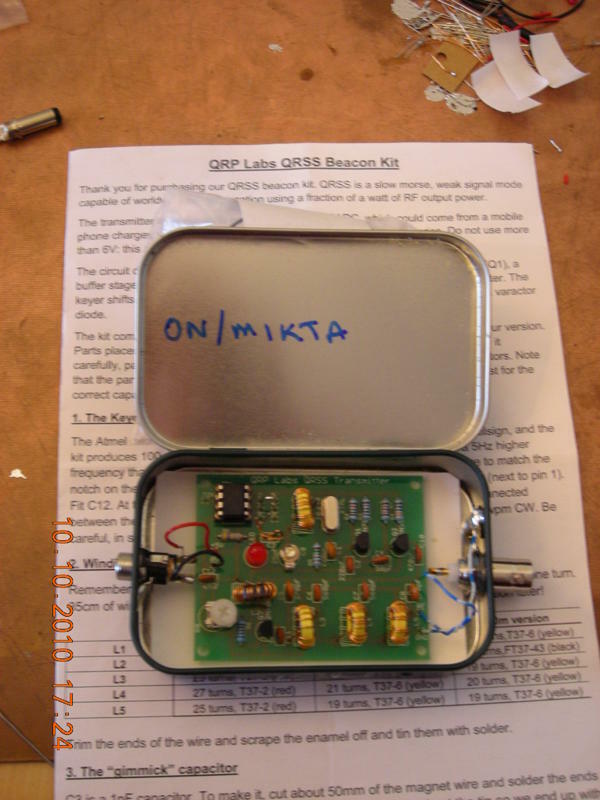 Was sent this image of a QRSS homebrew build. I then did a double take... it's from ET "Phone Home"